The World Challenge series was divided into two separate classes – World Challenge GT and World Challenge Touring. The series featured production based cars modified for racing. The races for both classes were 50-minutes in length. Aligning with trends in the automotive aftermarket competitors were allowed to use larger wheels and tires (up to 18-inches in GT and up to 17-inches in Touring), spec rear wings and more aerodynamic bodywork. Also introduced for 2000 was standing starts. 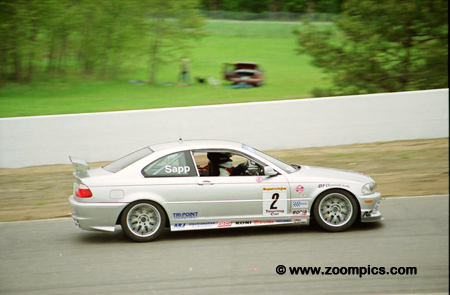 The series also boasted larger purses and a great television package as the result of sponsorship from Speedvision. All these factors attracted bigger fields - at some events as many as 80-cars were entered for the two classes. 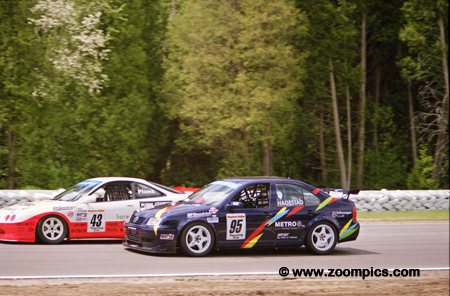 The Touring Car Championship was dubbed 'The Official Racing Series of the Sports Compact Revolution.' It featured the Acura Integra Type R, Audi A4, BMW 328, Ford Focus and Contour, Honda Accord, Civic Si and Prelude Si, Mazda Protege and 626, Mercury Cougar, Mercedes-Benz 230, Nissan 240 SX, Pontiac Sunfire, Saturn SC, Toyota Celica GT and Volkswagen GTI and Jetta. The seven-week break between the opener at Charlotte and Mosport allowed competitors that missed the first event to complete their cars. 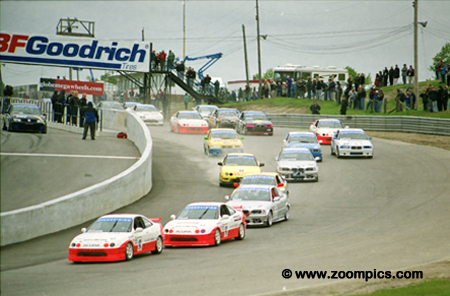 The grid increased from thirty-five entries at Charlotte to forty-one at Mosport. After qualifying the front row was the same as Charlotte – Pierre Kleinubing was on the pole with his teammate, Hugh Plumb beside him. At the start, the two entered turn one first and second. 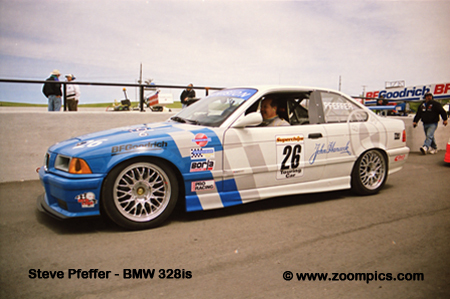 TC Kline Racing did not have their BMW 328ci’s completed for the opening round at Charlotte but by Mosport, there were cars for Neil Sapp, Mike Fitzgerald and Shauna Marinus. Sapp qualified the No. 2 car in fourth and moved up to second by lap-7 which is where he would finish. 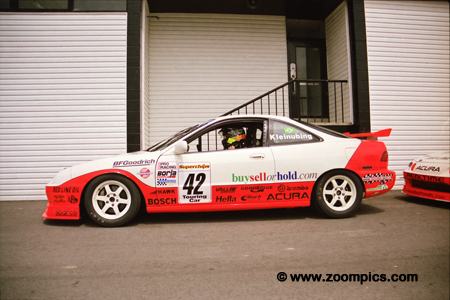 Taz Harvey started fifth in his Acura Integra Type R. Harvey found himself in the thick of the battle for third the entire race and captured the final position on the podium. 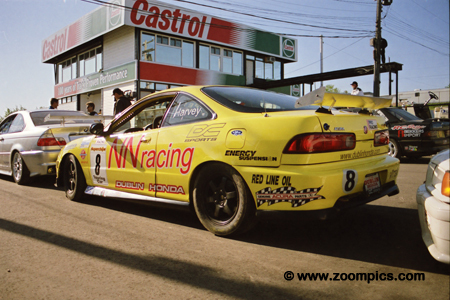 His efforts netted him the Borla Performance Award for the best drive of the race. Ken Dobson had to be the big surprise of the weekend. 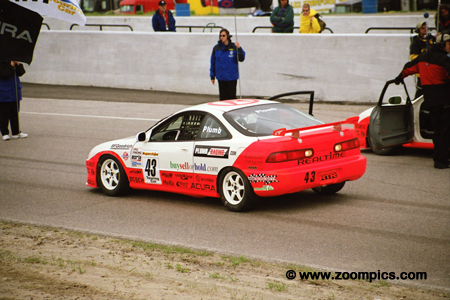 Dobson, driving the only Pontiac in the field, moved his Sunfire GT from the very last position on the starting grid, thirty-ninth, to an eighth place finish. In the process, he set the fastest lap of the race. It was another great race weekend for Pierre Kleinubing as he began the season two-for-two. Kleinubing started from the pole and never looked back during the 50-minute - 28-lap race. The RealTime Acura Integra Type R was 8.251-seconds clear of second place Neil Sapp at the checkered flag. Drew Hagestad, son of legendary Porsche racer Bob Hagestad, drove this Volkswagen Jetta. The car appeared at round one in Charlotte with the senior Hagestad behind the wheel, unfortunately, the car retired after 19-laps with mechanical problems. 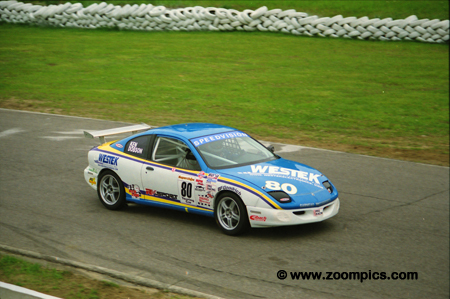 At Mosport, the car fared better as Drew started twenty-fifth and finished eighteenth. 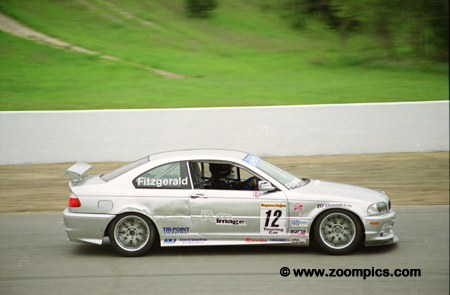 With the TC Kline BMWs completed for Mosport, Mike Fitzgerald and his teammates had their regular rides for the season. 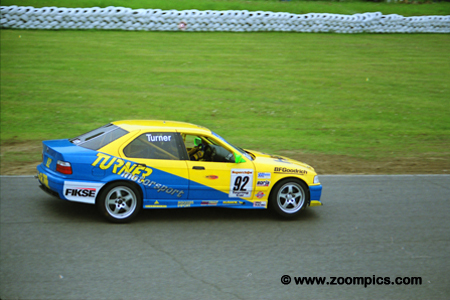 Fitzgerald endured a weekend of brake problems but still managed to qualify third. The issues persisted through the race and he retired after a spin on lap-19. It was another good qualifying effort for Hugh Plumb. He started second and held the position until he was passed by Neil Sapp on lap-7. Unfortunately, his race ended on lap-21 with mechanical issues. Will Turner driving a BMW 328is started ninth and finished fourth. Combined with his fourth place at the season opener at Charlotte he left Mosport second in the Touring Car point standings. But he also left Mosport with a three-race probation for contact with Hugh Plumb.